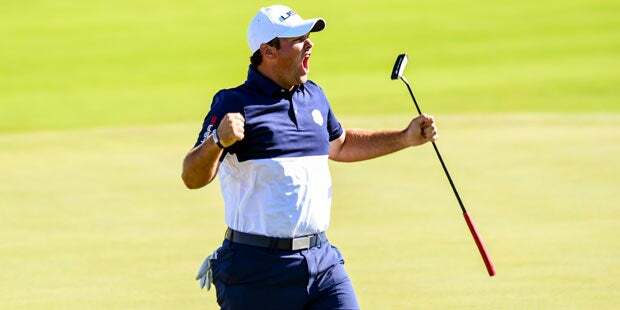 Patrick Reed doesn't have an equipment deal. Here's why. Winning the Masters comes with its share of perks — especially that hefty winner's check, which this year totaled nearly $2 million. Increased exposure and face-time with the media can also be parlayed into super-lucrative endorsement deals, particularly when it comes to equipment. But Masters champ Patrick Reed doesn't have an equipment sponsor this year, having ended his tenure with Callaway in 2017. Surprisingly, he didn't opt to replace one company with another. During a whirlwind NYC media tour, Reed stopped by CNBC, where he was asked about his unusual decision to go the sponsor-free route. Despite what is now likely a huge opportunity to cash in, Reed is confident in his approach. “I wanted to try something different this year," Reed said. "There's so many great companies out there. When you go on these big deals like this, you kind of get stuck on, you have to use all of the same equipment. It’s hard to believe that there is one company that makes 14 perfect clubs and a perfect golf ball for every player. "So what I did this year, with partnering up with Nike and going kind of more on the clothing side, it has freed me up to use whatever equipment I want. I'm able to put 14 clubs and a golf ball in the golf bag that I feel are the perfect fit for me." You certainly can't argue with a win at Augusta. Check out the mixed bag of sticks that won the Masters here, and watch Reed's full interview on CNBC below.